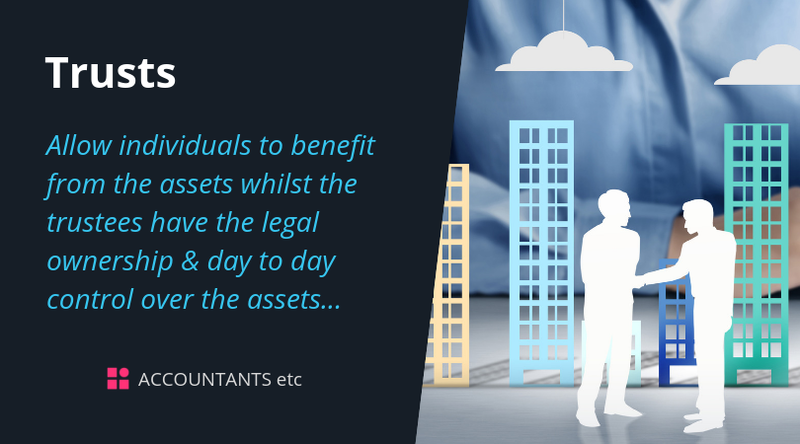 Trusts are a long established mechanism which allow individuals to benefit from the assets whilst the trustees have the legal ownership and day to day control over the assets. A trust can be extremely flexible and have an existence totally independent of the person who established it and those who benefit from it. A person who transfers property into a trust is called a settlor. Persons who enjoy income or capital from a trust are called beneficiaries. The Trust Registration Service (‘TRS’) requires all trusts and ‘complex estates’ (broadly those with a value of more than £2.5m or involving a capital sale with proceeds of more than £500,000) to be registered centrally. In addition to this the trust must update the register every year when there has been a taxable event. The most common instance of this will be the submission of annual income tax returns to be completed by 31 January following the relevant tax year; the TRS register must be updated by the same deadline. However, it is not just the imposition of annual income tax liabilities which necessitates an annual TRS update, any liability of any tax (including IHT and SDLT) will require the TRS to be updated. Only if the trust has no tax liability at all is a TRS update unnecessary. In these circumstances a lifetime transfer into a life interest trust will be a potentially exempt transfer (PET) and no inheritance tax would be payable if the settlor survived for 7 years. Transfers into a trust on death would be chargeable unless the life tenant was the spouse of the settlor. There is no periodic charge on such trusts. There will be a charge when the life tenant dies because the value of the assets in the trust in which they have an interest has to be included in the value of their own estate for IHT purposes. This guide briefly covers some aspects of trusts. If you are interested in providing for your family through the use of trusts please contact us. We will be more than happy to provide you with additional information and assistance.